Today is the turn of Frederik, frederik-f on the community hub. My name is Frederik, I live in Germany and I am working as a java software developer in my daily job. I am using Ubuntu since 5 years and quickly started to report bugs and issues when they jumped into my face. Apart from that, I like good music, and beautiful software. I also make my own music in my free time. I mainly contribute to the shell theme but also work on implementing some design ideas in the gtk theme. I followed the design process from the beginning on the community website and was very interested in it. Not only because I love ubuntu but also because I finished my thesis last year, where I needed to read some design books about UX and interaction design. I loved how they created the mockups and discussed about them in a very professional, mature, friendly and yet unemotional way - accepting and rejecting different opinions. I feel there could be even more interaction and I hope there will be more promotion about this website so more people would share their opinions. 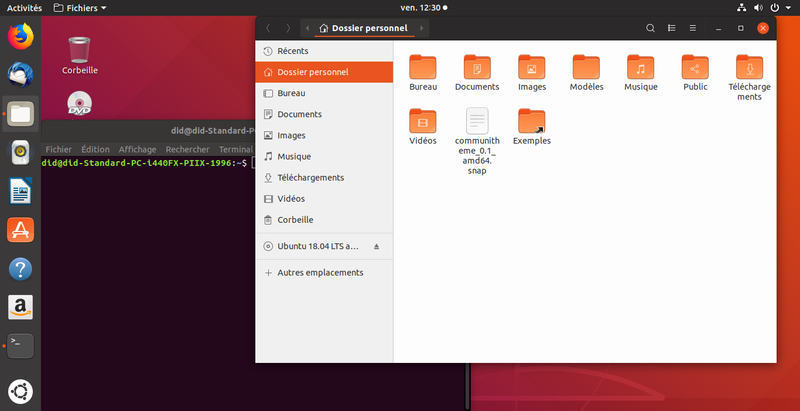 While ambiance uses very antiquated design ideas, it still represents the ubuntu brand. Of course I was a little disappointed, but that was also the point where I decided to contribute actual code and make PRs. I felt like they need more help. I think if the snap will be promoted in the software center like for example spotify or skype, many LTS users could try it and then in the end, we got our theme shining on the LTS as well. Do you think the snap approach for 18.04 will give us more flexibility before shipping a finale version? Yes - this was a very good idea. I am curious about how it will work out with all the other snaps which fallback to adwaita at the moment. My idea would be: Orenji which means “Orange” on japanese, which could fit to our origami icon theme suru.